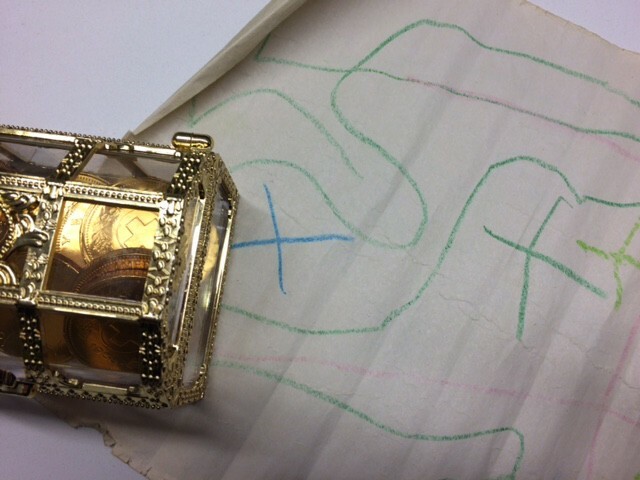 As we all know an x marks the spot when in search of treasure, so with the map at the ready off we went in search of gold and riches galore. The sky was dark and the wind a little strong but the smell of sweet success was in the air. 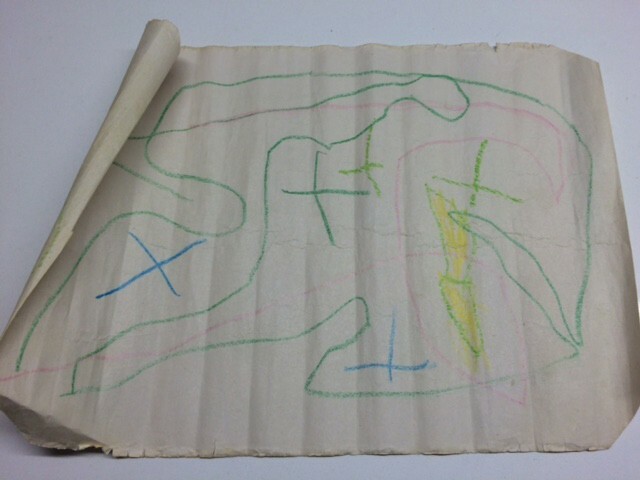 Rolled up map of the island found. Where can it be? There it is! Treasure Island! Of course before embarking on this quest it was necessary to have pirate transport! And ideally as soon as possible! I dived into the fabric chest and pulled out various bits and pieces. In addition out came the clear and black Appliglues, a piece of paper towel, cotton bud and a pair of scissors. Speed rather than perfection was the supreme requirement at this point in time. 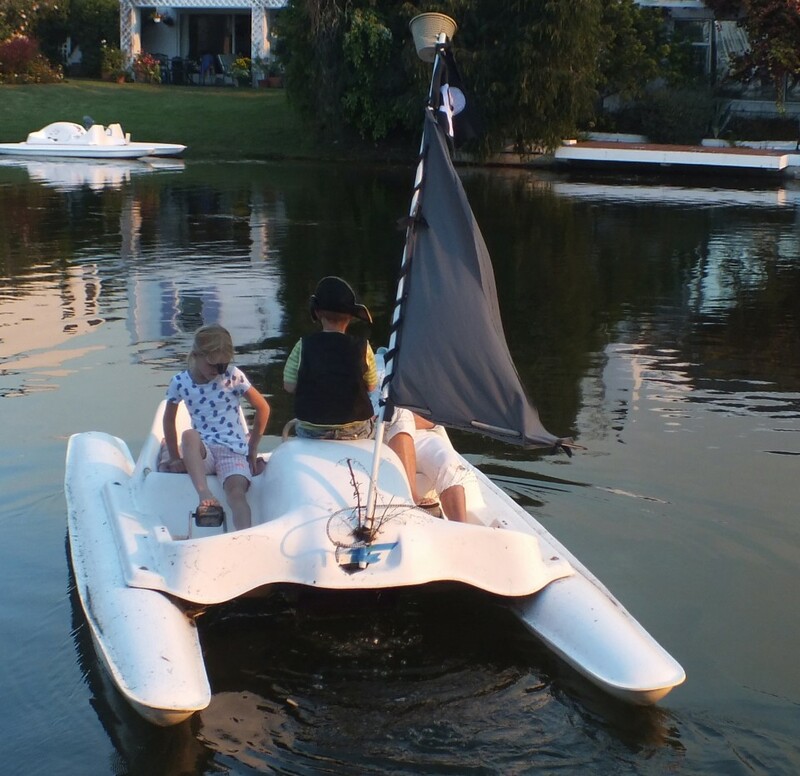 We needed a sail asap. There was a lot of ad libbing along with creative solutions to solve problems since I am not a sailor by any stretch of the imagination. 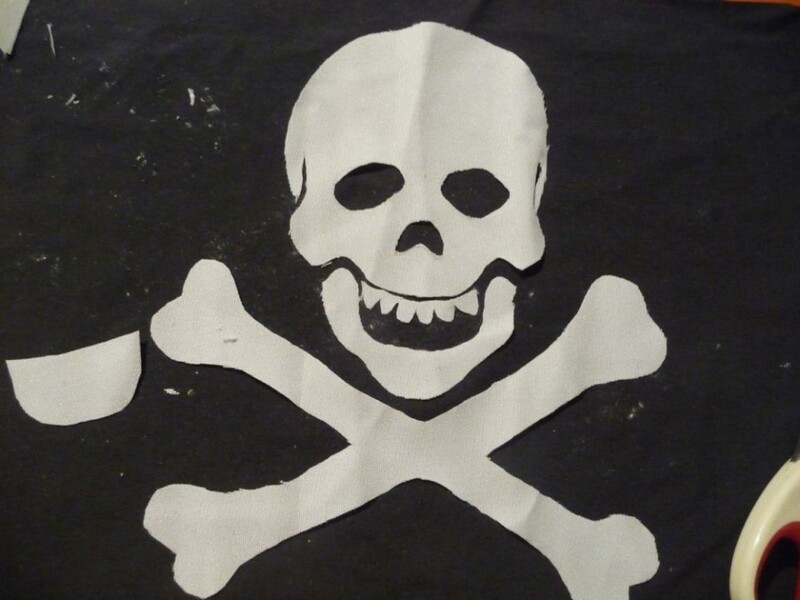 Fortunately, the pirates were very happy with the result. 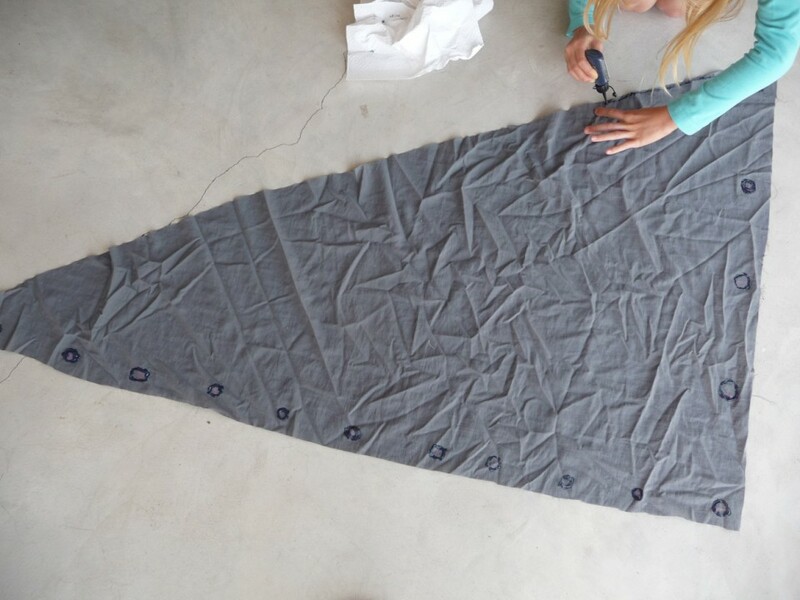 First we laid out the piece of fabric and cut it to size. We went in search of a piece of wood for the upright and found bamboo for the bottom. 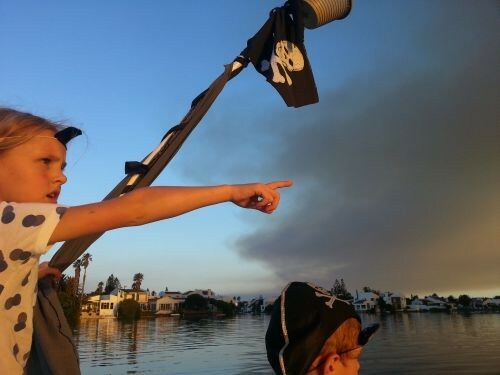 You will notice pirate bear observing activities from the crow's nest in anticipation. 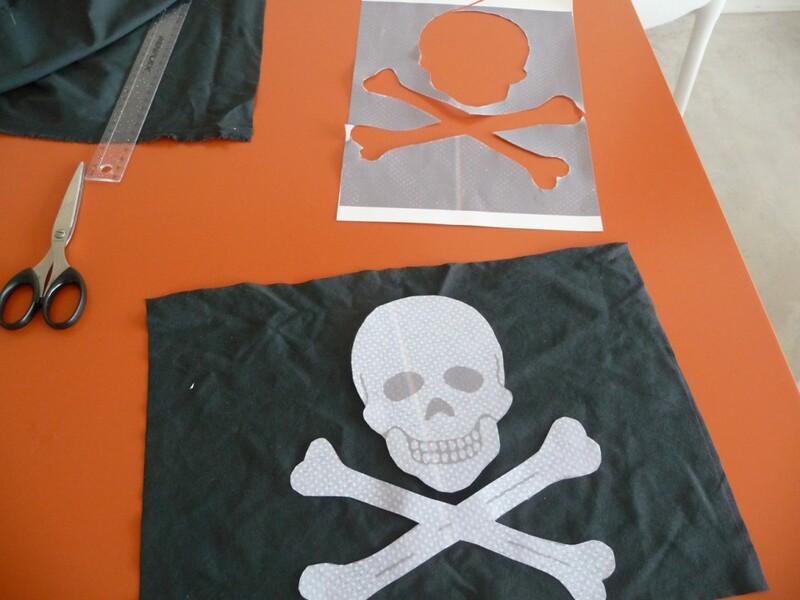 Circles were drawn on the fabric at intervals with the black Appliglue. When dry we would create a hole by folding the fabric in half across the diameter, nipping a hole into the centre and cutting all around the inside edge. 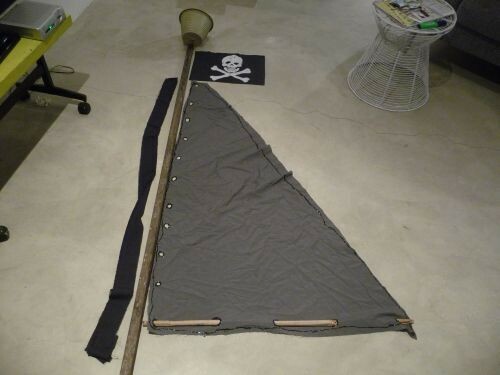 Then, since Applilgue is also a fray check, a black line was drawn all around the outside edge of the sail. This a a close up. One could judge it and say it's not perfect, but from my perspective it's far better to "have a go" and not be daunted by the task. There's a time and place for perfection. Now for the flag. 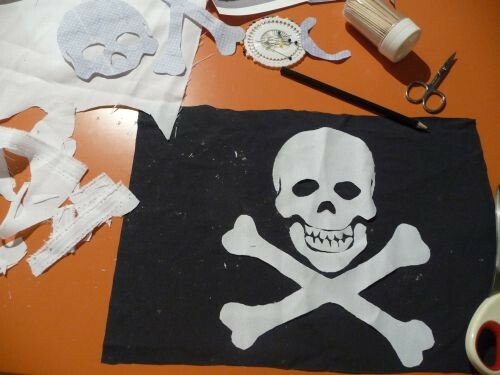 We found a picture of the skull and crossbones on the internet. This was printed and all the bits cut out. In anticipation we cut out a flag and placed it in position. It didn't look scary enough so we cut the skull into two following the line below the cheek bones, and then the two layers of teeth. In retrospect we should probably have blacked out a couple of teeth! Turn the top half of the skull over. Using clear Appliglue draw a thin line just inside the edge of the skull, Place it back in position. Do the same with the teeth, chin and crossbones one after the other. Finish off by edging the flag with the black Appliglue. 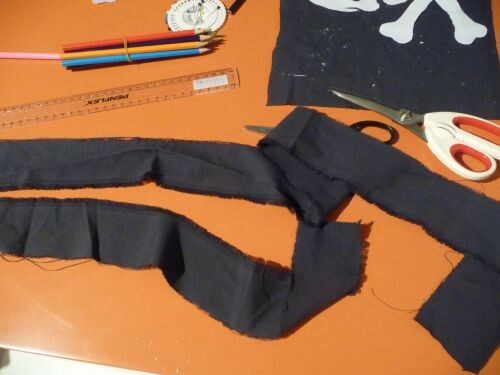 Tear off a strip of black fabric for tying the flag to the pole. 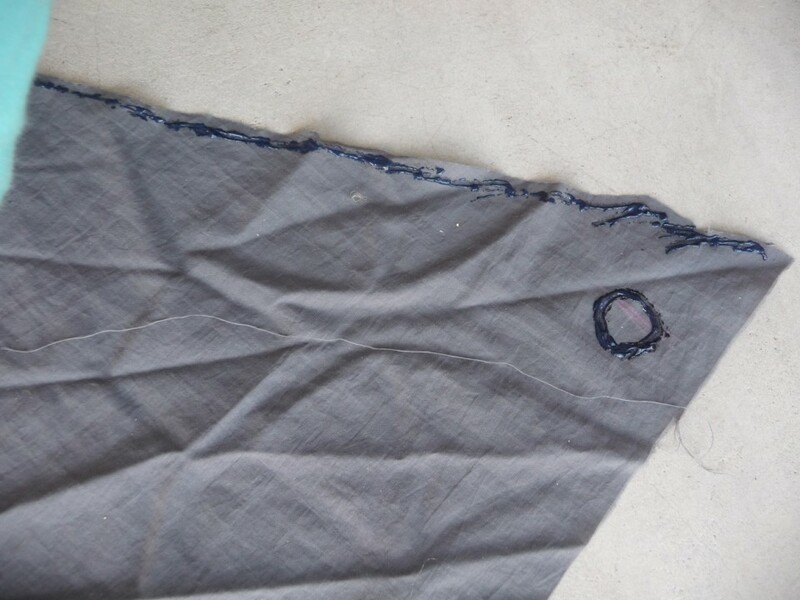 Do this by nipping the selvedge, and then firmly tearing the two pieces apart. 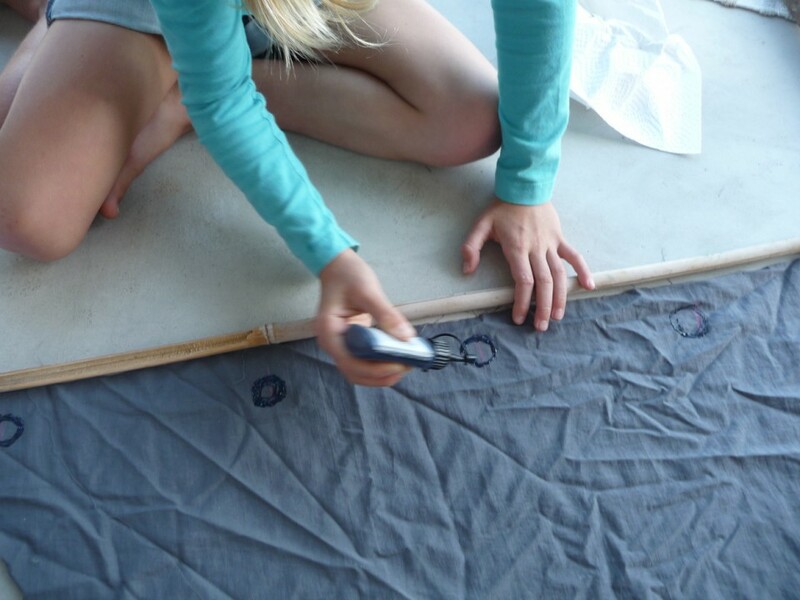 We thread the bamboo stick through the cut out holes at the bottom of the sail. 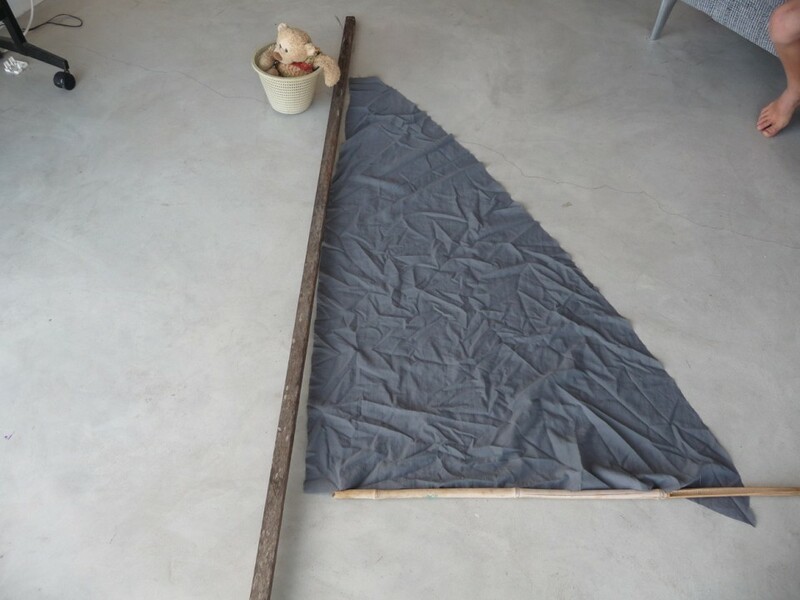 Then we tied the sail to the upright by threading the long piece of fabric first hrough one of the holes, then round the post until we reached the bottom and the bamboo stick. We also made holes in the flag and tied it to the pole in the same way. We used a cable tie to attach the crow's nest. Map in hand. Oranges and biscuits as vittals in order to prevent scurvy. 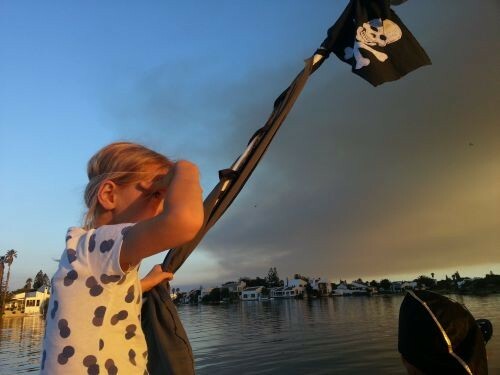 Off we go on to the high seas in search of treasure!